In the event of a man made or natural disaster, it is critical that your company be properly prepared. A disaster recovery plan (DRP) provides clear instructions for the recovery and protection of your IT infrastructure in disaster scenarios. A DRP can take the form of written or verbal instructions, but, in order to maximise effectiveness, it is usually explained to staff through training sessions and distributed in written form. 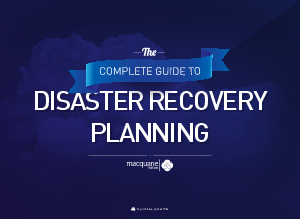 Download this paper now to discover how to create an effective disaster recovery plan.